Shootings. Poverty. The economy. Death. All scary topics and all very real. These subjects are broached regularly in the media and, if you're a parent of a young child, you're likely concerned about the effect that such information is having on your little one. With recent world events escalating in tandem with the ubiquitous 24/7 news cycle, it's almost impossible for a parent to completely limit the access to information that their children may have. While it is possible to keep a lid on the negative and scarier news items while your child is within your care, our kids do venture out into the world without us -- at school, at a friend's house and elsewhere -- and it is in these places that we don't have much control. Add to this fact the reality that kids talk amongst themselves and it's likely that your child will have heard something about the latest headline, whether it's good or bad. In many instances, kids react to what's in front of them. What we as parents need to do is to provide context, information and in all cases, reassurances and support to allay any fears that our children may have. Following are five tips for parents about how to calm their child's fears during these difficult times. 1) Listen - Listen to your child's fears. What are they most concerned about? Oftentimes, there are one or two things that are really scaring them. Are their concerns based in reality? What have they heard, where did they hear it and what do they think is going to happen as a result? When you have a clear understanding of exactly what is bothering your child, you'll be better prepared to provide them with the information, comfort and support that they need. 2) Limit Exposure - As much as is possible, limit your child's exposure to negative and scary news stories. Granted, information is everywhere, but while your child is in your care, turn off the radio, mute the TV and monitor Internet use to assure that what is being viewed is appropriate and at the least, neutral. While we can't completely control what our children see or hear, we can make a difference in the amount and type of information that they receive while they're with us. 3) Share Age-Appropriate Information - Kids have a limited understanding of many of the underlying reasons and causes behind the headlines. Like the geopolitical situation that has fuelled recent wars, the spread of infections diseases -- there is much more context and information that underlies the realities of what is being conveyed in the headlines. Children of certain ages, particularly the younger ones, should be provided with as much detail as is appropriate, and that they can handle. In many cases, this may mean giving them basic facts of the situation at hand, but not getting into the specific, granular details, much of which may be beyond their scope of understanding. As the parent, you will know what your child can and can't handle. Proceed accordingly when providing them with information regarding world events. 4) Be Honest - If you don't know, you don't know. It's OK to tell your child that you don't have all the answers. Children need to learn that parents are just people and as such, we don't know everything that there is to know. What is important is letting your child know that you'll share whatever information that you receive (age-appropriate, of course) when received, and that you're there to answer any questions. As always, honesty is the best policy. 5) Provide Comfort - A warm hug and some kind words can go a long way, especially coming from mom or dad. 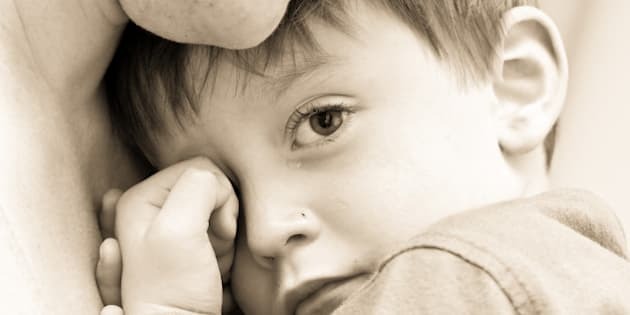 At the end of the day, kids are looking to their parents for reassurance and comfort that everything is going to work out fine -- or as fine as things can be, given the circumstances. Be available to answer questions but also be available to give your child whatever reassurances that they may need. Sometimes they may be words, other times a big hug and some prolonged cuddling can assuage the fears of the most anxious child.